Release & ship date: April 15, 2016. Includes immediate emailed download of song. Please note: this is also included in every Special 10th Anniversary Blue Marvel Edition of Illinois. 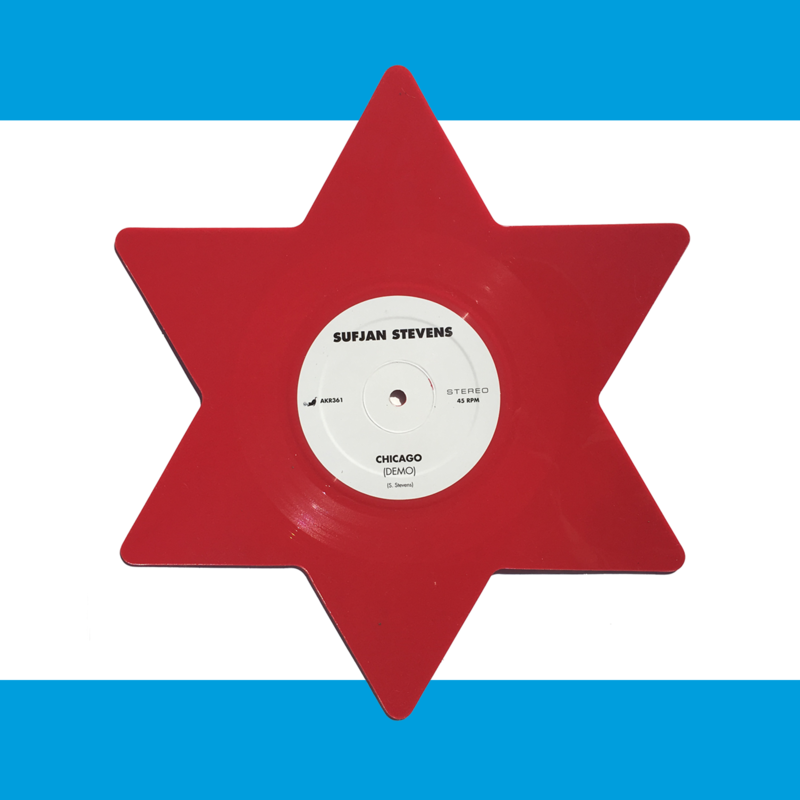 We pressed 2,000 12″ singles of a demo version of “Chicago” for the Blue Marvel edition of Illinois, but made an error: we printed 45 RPM on the label instead of the correct 33RPM. We’re now selling these separately and hope you enjoy (at 33RPM).